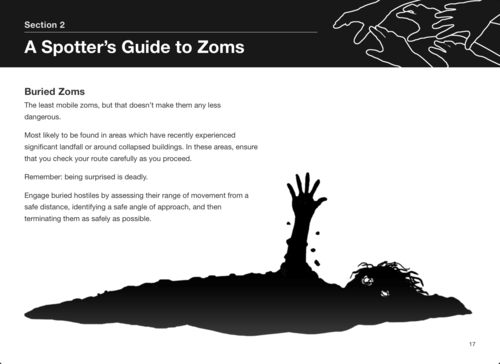 Announcing The Runner’s Guide – Zombies, Run! Imagine that you’ve arrived in Abel Township, one of the last remnants of humanity in a zombie-infested world. You’ve journeyed for days and weeks to get there, constantly on guard, but now you’ve finally got a chance to rest and recuperate before you begin your duties as a Runner. But how do the Abel Township Runners operate? 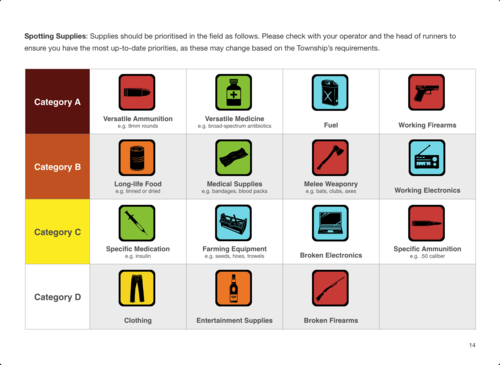 Which supplies are you meant to collect? 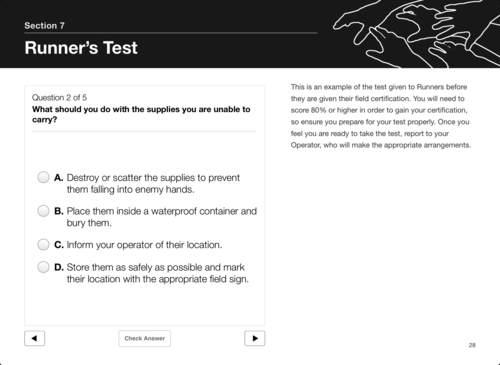 What tactics do the Runners use to evade zombies? 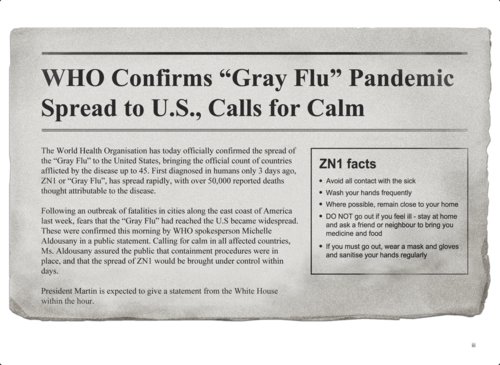 And does anyone know how the apocalypse came about? That’s a lot of questions – and now you have the answers, in The Runner’s Guide. The Runner’s Guide is a 75-page book packed full of details, stories, newspaper clippings, and background about the world of Zombies, Run! There’s also a list of all the Abel Township Runners, an introduction to Rofflenet (the post-apocalypse internet), A Spotter’s Guide to Zoms, and much more! 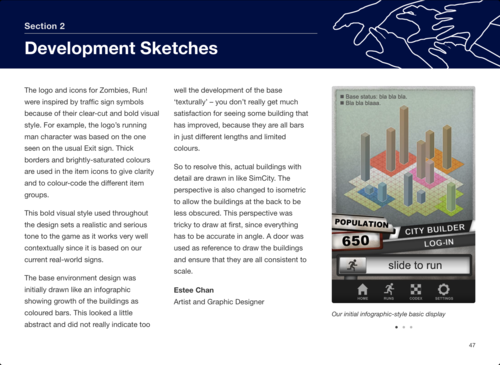 The Runner’s Guide also looks at the making of Zombies, Run! with exclusive development sketches, sound direction notes, and best of all, the full script of Mission 1 with commentary from writer Naomi Alderman and the developers at Six to Start. 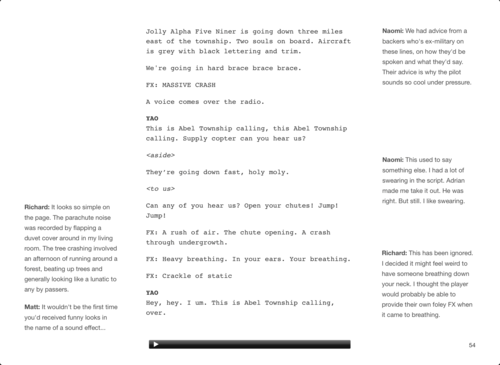 Now, you might be thinking, “Those screenshots look awfully like they were taken on an iPad.” And you’d be right, because we’ve also made the book into a multi-touch iBook, with embedded presentations, slideshows, audio from Mission 1 to accompany the script, and even an interactive Runner’s Test! We’re selling The Runner’s Guide for… absolutely nothing at all! We’ve written this as a gift to the community that’s given us so much, first through our Kickstarter campaign, and then through fantastic reviews and support and word-of-mouth. You’re making it possible for us to do something we love, so we want to give something back to you. View or download the PDF of The Runner’s Guide! That’s right: no mucking about, no DRM – you can print it out, copy and paste it, put it on your tablets, whatever you like. What about the iBook, eh? 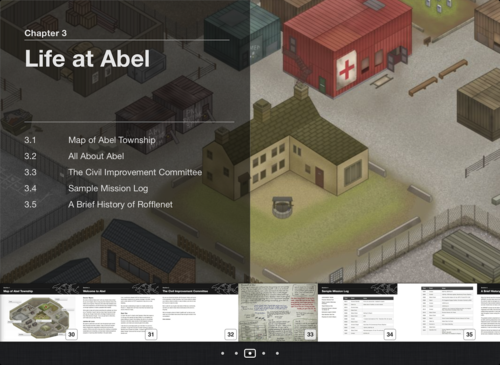 Of course, we spent extra time and effort making the multi-touch iBook look good, and so we feel it’s justified to charge… nah, only kidding, the iBook is also free! Not only that, but it’s also optimised for the iPad 3’s Retina display with super-high resolution artwork and graphics. The Runner’s Guide will be available from the iBooks Store for free soon, but if you have an iPad, you can download it directly to iBooks by just tapping this link (46MB). Remember those old games like Elite and Ultima where you’d get cloth maps and thick books and little gewgaws in the boxes – things that really added to the atmosphere of story and world? Whatever happened to them? Two thing: the internet, and the cruel, cruel hand of games publishers. These days, it’s less obvious what you can give players when they’re just downloading a game instead of buying a box, and most publishers are only concerned about the bottom line, not making a novella about a certain Commander Jameson. Call us old-fashioned, but there’s a lot to like from those days (not the loading times, though), so, because we’ve poured so much of ourselves into the story and characters and world, we wanted to extend that into a book. It just so happened that Apple’s iBooks Author software was announced around the time we were thinking of writing The Runner’s Guide, and so that’s why we also made a multi-touch book (plus Adrian wanted to play around with the software). Please let us know what you think of the book, and whether it’s the sort of thing you’d like to see more of! And tell your friends about it! 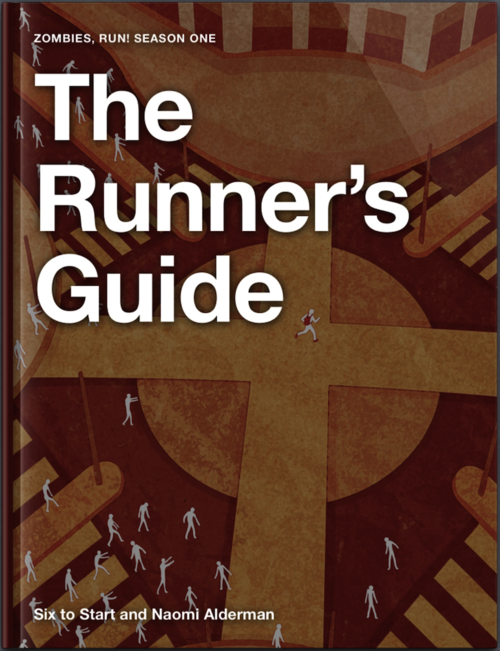 The Runner’s Guide was written by Matt Wieteska, with additional writing by Adrian Hon, Alex Macmillan, Naomi Alderman, Estee Chan, and Richard Bell. Art and graphics are by Estee Chan, and layout and design by Adrian Hon. Get The Runner’s Guide from Scribd or download it to your iPad!